You’ve got some writing jobs. They’ve been hanging round for a while because you haven’t got round to them. Everytime you think about doing the jobs, you stare a blank piece of paper for a while then put it away and go and do something more productive. You need to hire a writer. Where to begin? Writers are easy to find. Go on Elance or Guru and you will find a whole pile of writers ready and raring to go. How do you know which one to hire? Perhaps you explore some blogs and find some people blogging about writing. You like their writing style and think it would be a good fit for your company. How do you approach them about writing for you? Some will make it easy for you to approach them, but others may not be so obvious. How do you know how much to offer to pay? The first thing to do is decide your budget and plan out the job. It is best to know exactly what you want your freelance writer to do. Have an idea of how long the job will last too. Then decide on a rough idea of budget. There are many different kinds of writers out there at varying levels and also from different countries. Consider what kind of English you will want your work written in. American English differs from UK English and Australian English. It depends on the audience you are trying to reach. Some writers will have English as a second language. Their writing may be better than that of native English speakers! Decide how much the job is worth to you. Some company owners go for the cheapest option they can, but it is worth bearing in mind that you get what you pay for. If you offer a good wage then you can expect work to a certain standard. Sites such as Elance and Guru are easy to set up and use. You will find varying standards of writing there and there are people always willing to offer under the odds, but ask yourself whether the hassle of dealing with rewrite after rewrite as the work is below standard is worth it. Some jobs attract a high number of bids. Discount the lowest. Check out the middle and higher ranges. Read their submissions carefully and check out their profiles. Does their writing flow easily and are they selling themselves well? If they can sell themselves then they can sell your product. Awarding the job within Elance or Guru sets you up automatically with a contract and an Escrow account that protects both employer and freelance if you choose to use it. The money is only released when you are happy with what you have purchased. What if you want to approach a writer direct? as you can set up a dialogue with the writer and see if you will get along. It is easier to work with someone who you feel comfortable dealing with. Ask about their rates and tell them as much about the project as you can to enable them to set a fair price. You are both free to negotiate if necessary. Finding a freelance writer can seem daunting, but taking the time to find the right person can pay dividends. 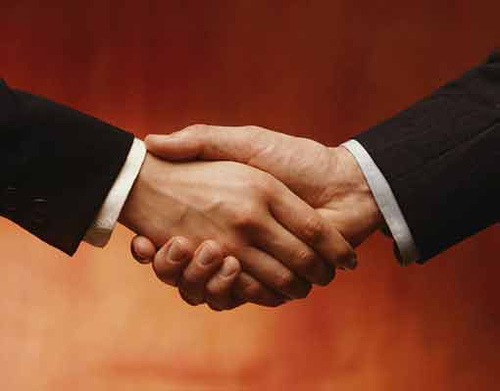 You might be at the start of a long working partnership which may prove to be beneficial to both. And, yes, I am available to hire! !